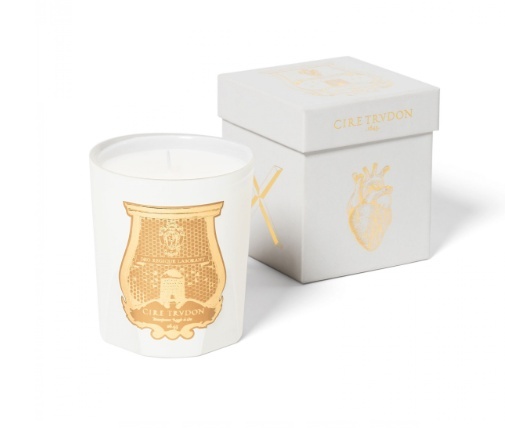 SIX has a heart-to-heart with Cire Trudon. An allegorical take on the 6th sense, the heart, SIX’s perfume revolves around a floral scent: white flowers and a lingering hint of monoi are an invitation to escape. Reassuring, the new scented candle further explores the mysteries of the heart: if the smell of carnation arouses memories of old lipsticks, touches of jasmine and vanilla picture a tropical landscape. For the light-hearted, the candle’s leaflet encloses a series of colourful, hand-illustrated stickers: inside a cameo-shaped frame, each one portrays a sense. These small decorative elements can freely be placed on the candle, thus changing its appearance in a heartbeat! SIX comes with a collection of 6 pillar candles: on each one of them, a colourful cameo also highlights a sense – nose, mouth, hand, ear, eye and heart. It all makes sense.